Craig Bourne Snyed mining disaster 1942. 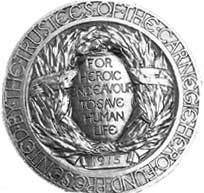 My grandad Joseph Bourne was one of the first five rescue workers on the scene. Did he train Harry Baskerfield? Russell( Rusty ) Johnson I was the last branch secretary NUM NOTTS AREA, what would you like to know? Subject: Cotgrave. Just a quick note having seen your website. My Grandfather John Tomlinson was killed at Clifton Colliery on 3rd November 1928. I have a certificate on my office wall from the Carnegie Hero Fund. He lost his life in an endeavour to save others; he left a widow and a 3 year old son, my Father. I spent 17 years in the mining industry, starting in 1973; I qualified as a Mining Surveyor, serving at Gedling, Bentinck, and Annesley Collieries. I was posted to area duties at Bestwood and Edwinstowe, leaving the industry in 1990. 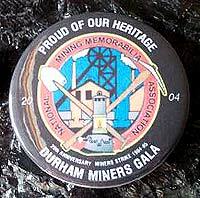 As I have always been a traditionalist, you might find me, like so many others, at this years miners annual gala in Durham 2nd Saturday in July, in celebration of the 20th anniversary of the ending of the miners strike, where all of us "remember" our struggles of yesteryear and above all our comradeship. Do you know if it there is a list of miners/managers/undermanagers/etc for Babbington pit for years 1920-1935? I am also trying to establish whether at any time Babbington Colliery owned numbers, 202, 204 & 206 Cinderhill Road. My maternal g.grandfather lived at 202 (Samuel Starr) and he had been an under-manager at Babbington, I believe in the late 1800's-early 1900's. Prior to my g.grandfather living in the house, George Housley had lived there, also an under-manager, Samuel Starr at some point bought the property and later on my grandparents lived there. My grandmother remained in the house until her death in 1970. My grandfather, George Jebson, spent all his working life as a miner at Babbington as had his father, Robert Jebson. My mother and her two sisters had lived at 202 Cinderhill Road and I also lived there from 1946 until my mother re-married in 1959. I have many happy memories of living at Cinderhill and would go with my grandpa up to Babbington to collect his pit pension once a fortnight. Sometimes at night you could hear a faint 'rumble' under our house and my grandpa used to say" don’t worry me duck they're only firing shots in gate four!" I still miss that house and seeing the miners walking home after their shift. I always loved the tales my grandpa would tell me about the pit and to honour his memory and the memory of my g.grandfathers, I want to gather as much information as possible about them, where they lived and about Babbington Colliery. I do hope there is someone that can help me. Hi my name is Andrew Wright. I used to work at Hemheath from 1985 after the strike. I worked on the belts on 612 level also did other jobs. My pit number was 979. I'm an ex miner from Derbyshire and have just found your site, as interesting as it is I was wondering if you, or any of your contacts could point me in the right direction to find old plans of underground workings? 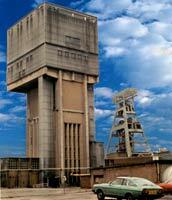 I'm particularly interested in Markham Colliery (Derbyshire Area) No.1 pit in the Blackshale seam. You are welcome to issue my e-mail address for replies to my enquiry. Thanks for your time and good luck with the site.